Boulder, Colorado. December 6, 2013. Ball Aerospace & Technologies Corp. has demonstrated unprecedented telescope technologies using ultra-lightweight polymer membrane optics. To produce MOIRE’s optical-quality polymer membranes and the precision etching needed to generate the diffraction pattern, Ball worked with NeXolve and the Lawrence Livermore National Laboratory. 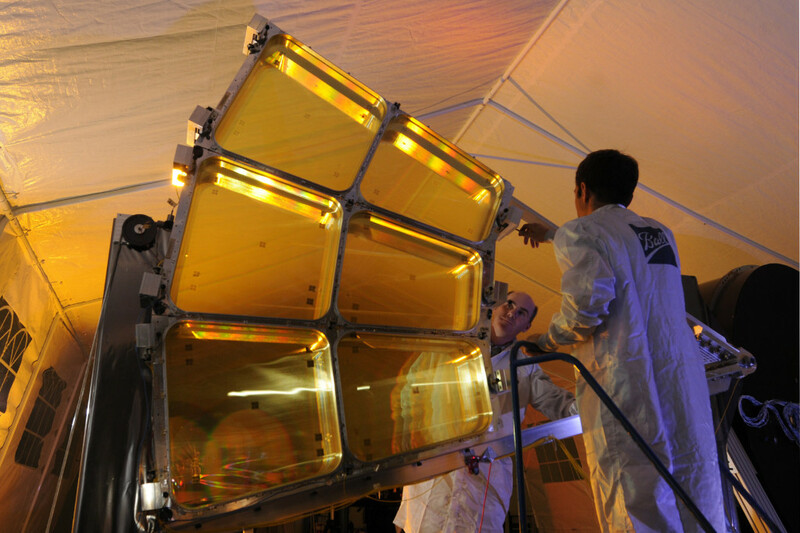 The Ball demonstration telescope uses six primary diffractive optical elements. 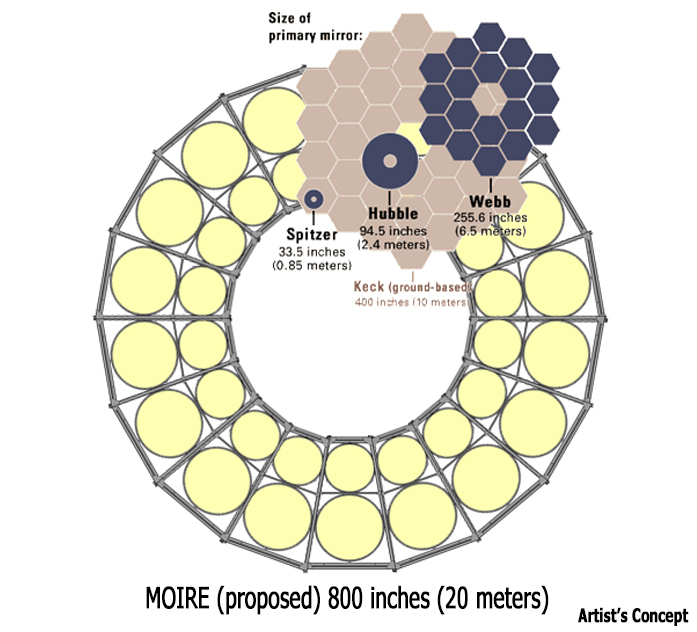 Additional technologies demonstrated by Ball for the MOIRE telescope include the use of secondary diffractive optical elements to correct chromatic dispersion (e.g. the rainbow effect visible on the reverse side of a DVD); stability of the membranes; and the use of laser metrology and active optics to align the primary and secondary optics.